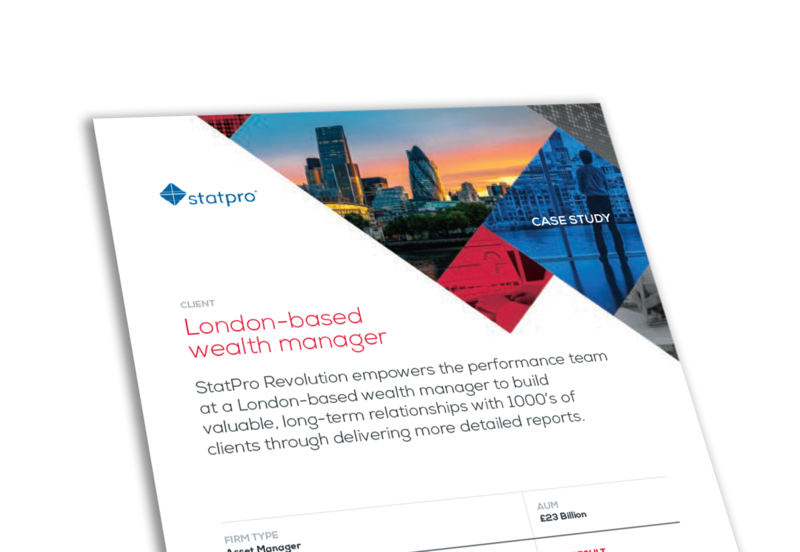 StatPro Revolution empowers the performance team at a London-based wealth manager to build valuable, long-term relationships with 1000's of clients through delivering more detailed reports. A disjoint between systems meant that the performance team were having to error-check and reconcile the returns, causing bottlenecks and affecting the quality of their performance contribution reporting. A best-in-class performance measurement tool that would deliver dependable accuracy and ultimately enhance the team’s productivity, while providing granular performance analysis to their growing list of stakeholders. An automated and scalable solution that helps the team create additional value for their clients and enhances the client experience.